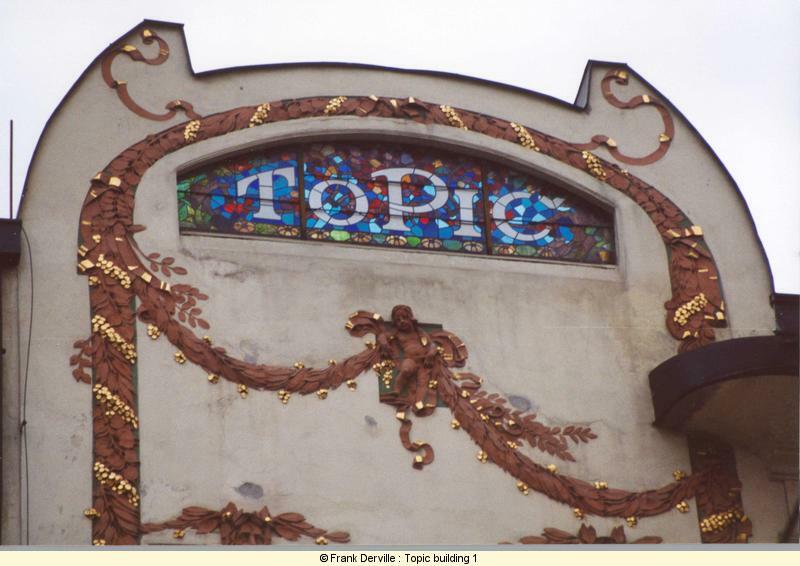 I would like to let you see my 7 favorite Art Nouveau buildings in Prague. If you are interested to carry on such a visit, you should know that there is much more to see. 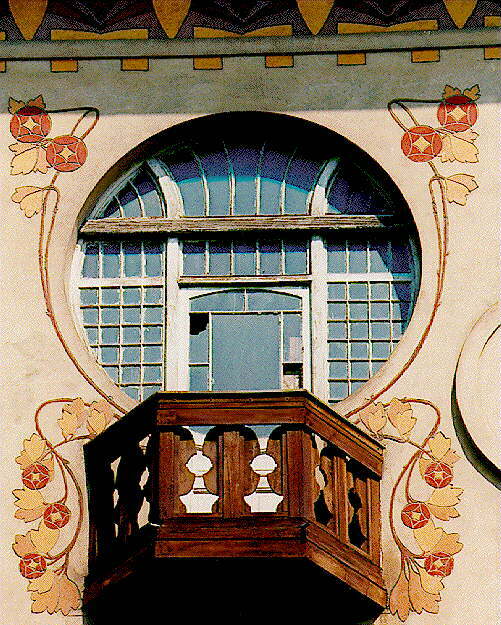 The Art Nouveau/Jugendstil period (1898-1914) has seen tremendous builders. 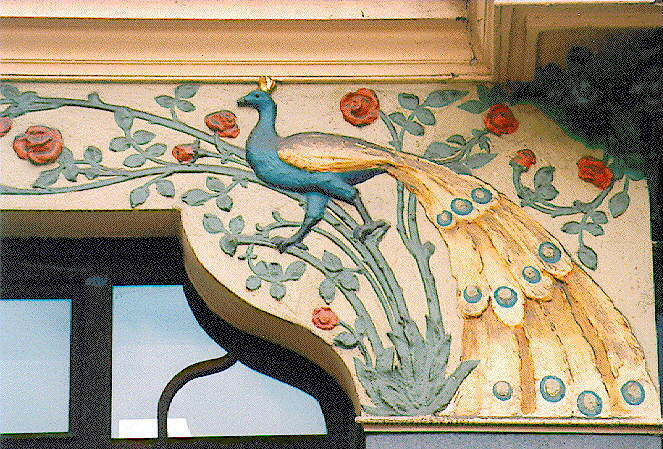 Some whole areas of the town were designed in the Art Nouveau/Jugendstil style. 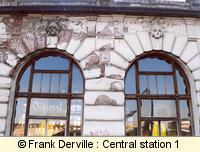 Once you are out of the inner center of the town, you will see that the general state of the buildings is painful. The broken window panes, the tumbledown plaster, the Art Nouveau door handles replaced by standard ones... are certainly due to the communist inheritance. On the other hand there haven't been destruction/reconstruction programs as in western Europe so nearly all the original Art Nouveau buildings are up. Art Nouveau apart, you should also have a romantic walk across the Vlata on Charles' bridge, see the great astronomical clock (which is unique in Europe apart the one in Strasbourg in France), the rectangle stone towers, part of the ancient city wall, with their typical steep slated roof and their 4 peaks in the angles. 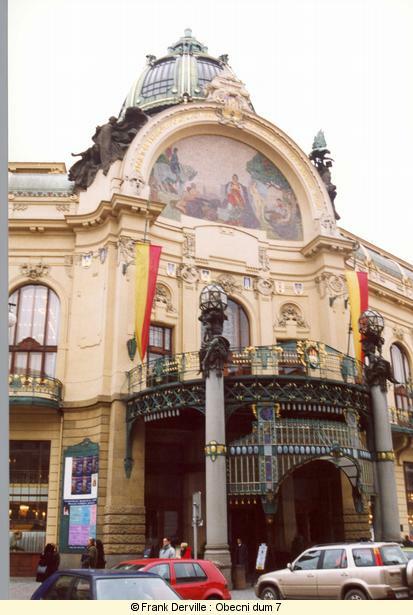 On the other hand, if you enjoy Classical Music, you will soon be charmed by Prague. There is a concert in every church every day. 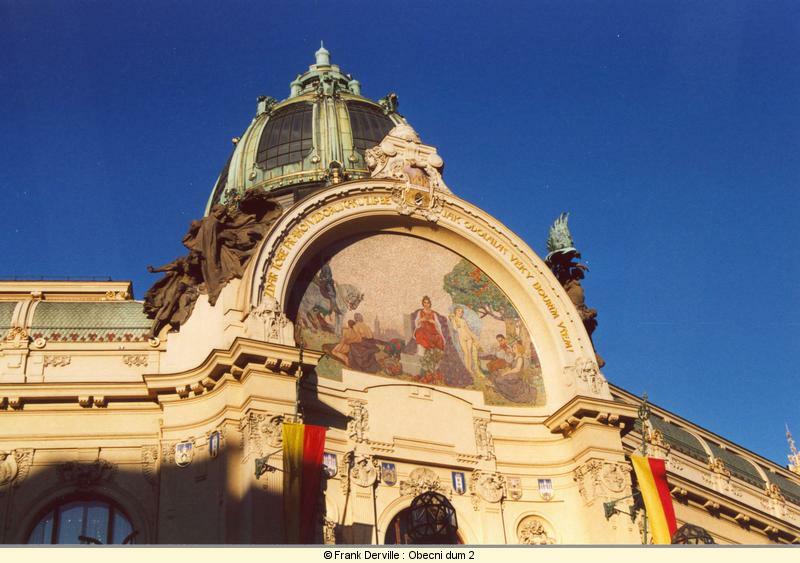 Till 1918, Prague was part of the Austro-Hungarian empire and nowdays it is the head city of the Czech republic, but from the second half of the XIXth century, a lot of independence movements have risen. These voices claimed not only a political autonomy but also a cultural one. 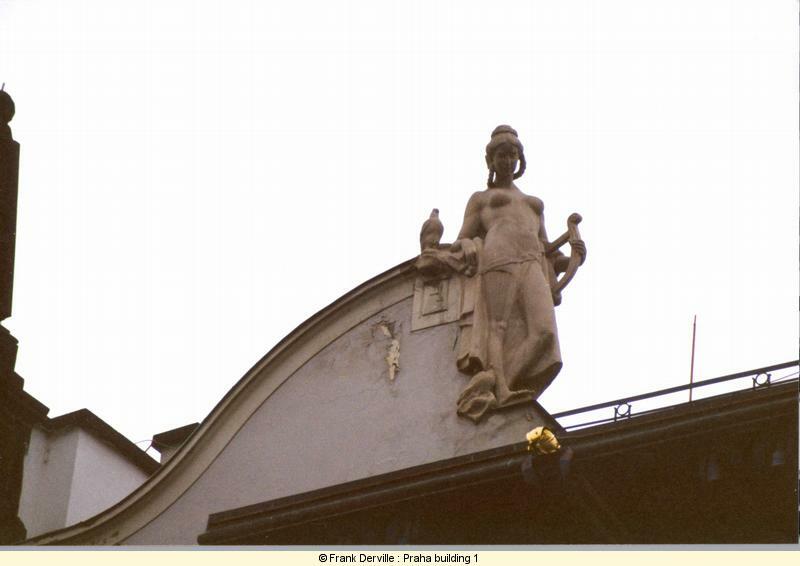 Geographically, Prague was not as large of today, a lot of AN buildings that are today in Prague were in fact in other little independent towns like Smichov. 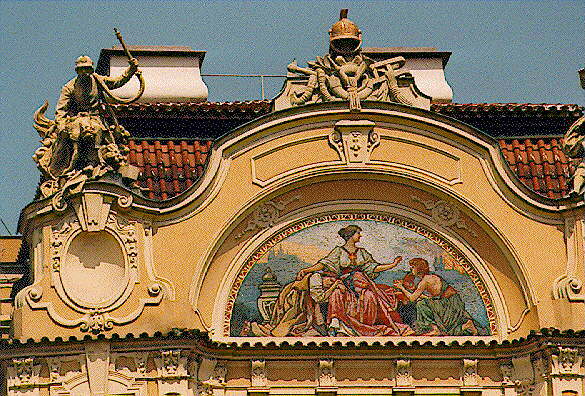 The Prague of today was created in 1922. 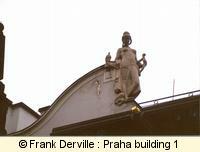 As nearly all large towns of that time in Europe, Prague grew at high speed. The period is contemporary to fast rural depopulation combined with start of industry. All the city walls were razed during the second half of the century. 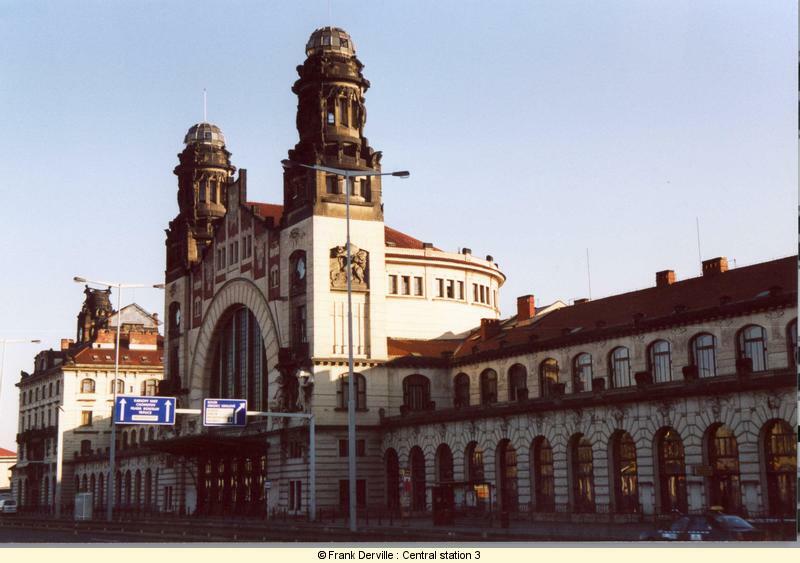 The main architects are Ohmann (1858-1927), Bendelmeyer (1872-1932) and Kotera (1871-1923). 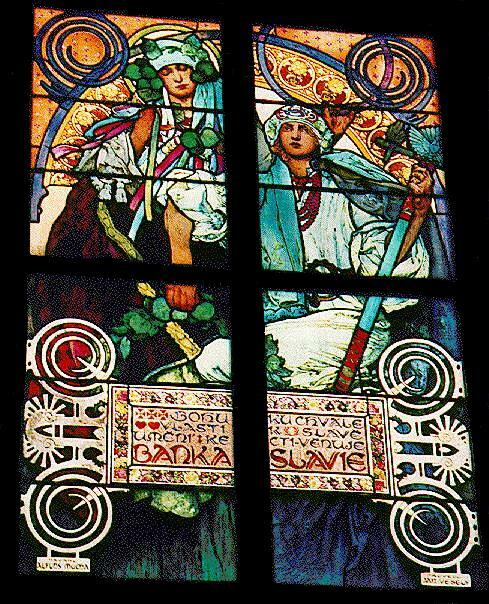 The fate of Mucha (1860-1939), alike Czech, is indissociable of his meeting with Sarah Bernhard in Paris at the turn of the century, but after some time in the United States, he went back to Prague in 1913 and then he participated to the decoration of several buildings. 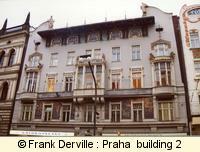 He was an active proponent of a Czech way for modern art. 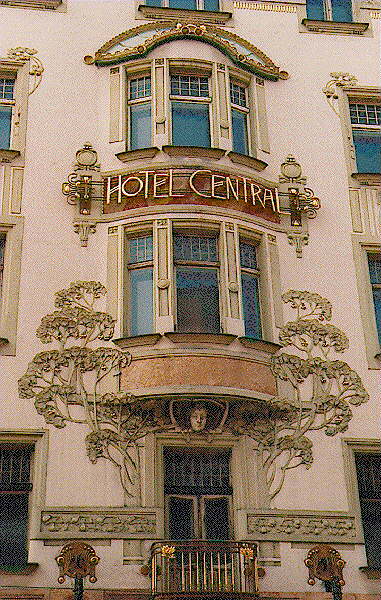 "Hotel Central" is one of the first AN building in Prague. It is traditionally built with plastered bricks and stuccos. Its milky mint color is largely used in Prague. The stucco pattern is inspired by tree leaves. The lamps, the font used for the hotel name, every detail have been designed by the architect as a total work of Art. Today, the hotel is closed, the ground floor is devastated, the brick is bear and giant placards have been put over the windows. 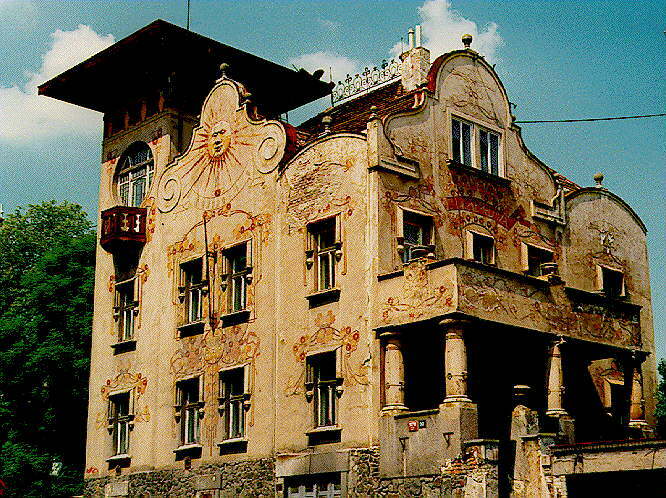 But the rest of the building will let you imagine some of the splendors of Prague in 1900. "Hotel Europa" gathers today two hotels. 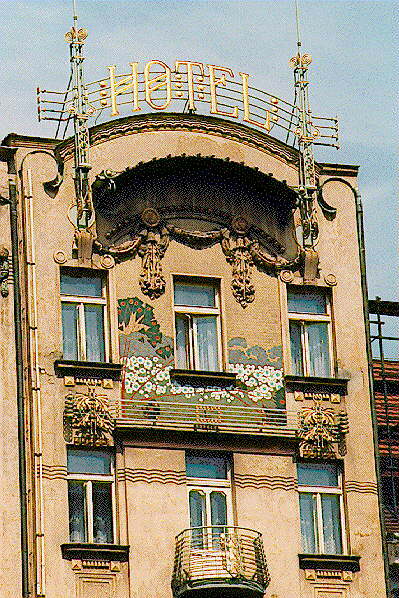 Hotels were a type of building that used very often the Art Nouveau style. The attention that AN architects paid to every detail is used efficiently for a luxury and comfort purpose. These hotels had all the modern conveniences of that time. 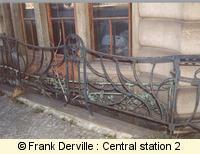 It was a way to gain an international shining, and to show the state of the Art in Prague. The architects designed all the parts of the building and let some of the best craftsmen realise them, one craftman for each different material. 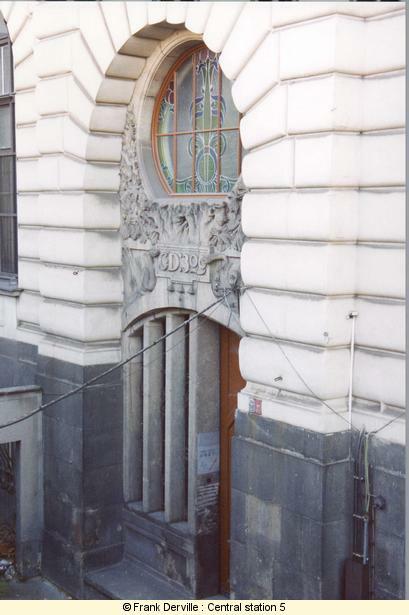 This building was originally built in 1878 adopting a classical revival style and then it was turn into Art Nouveau by Polivka to meet public taste. 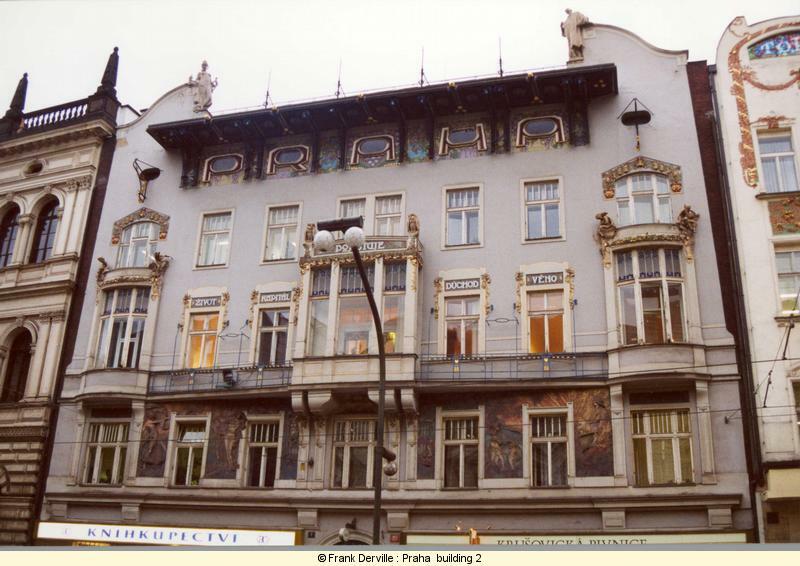 The metal work of the balconies, the door with stain glasses, the wall covering mosaic (by Jan Preisler) have been greatly restored. St Vitus cathedral was built in gothic revival style and finished in 1912. Two AN features are visible on the right side of the neve: a stain glass by Mucha and a wooden Christ on the cross by Bilek. More information about Bilek in the description of Bilek's house. 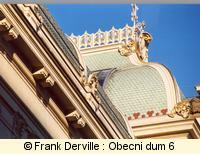 Don't forget to see the Nepomucen's chapel and its baroque grave. Mucha is certainly the most well known Czech AN artist in the world. 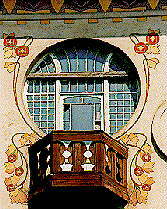 His stain glass, designed in 1931, keep still some very good AN features although the AN period was over. The stain glass represents "St Cyrillus and Method legend". Inside: CHOCHOL, Balsanek, Saloun, Preisler, Alphons MUCHA, POLIVKA,.. 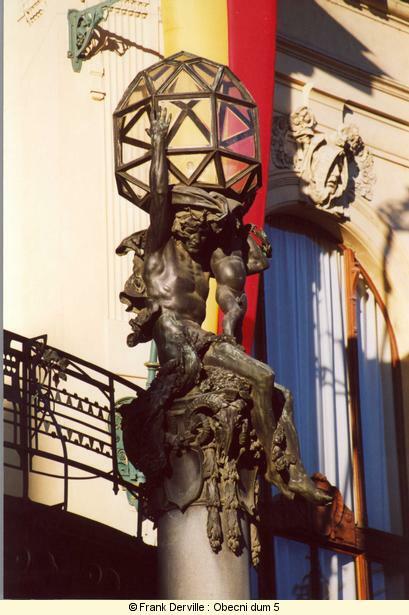 The outside is built in a baroque revival style with modern technics including a large fresco on the front, a copper and glass dome, a large marquee overtopped by cariatide lights (photo §5). The inside was designed by the most well known AN artists. 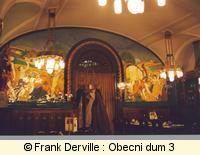 The rooms, named after Czech heroes, have a decoration inspired by nationalism (example : ceramic fresco in the underground restaurant on photo §3). 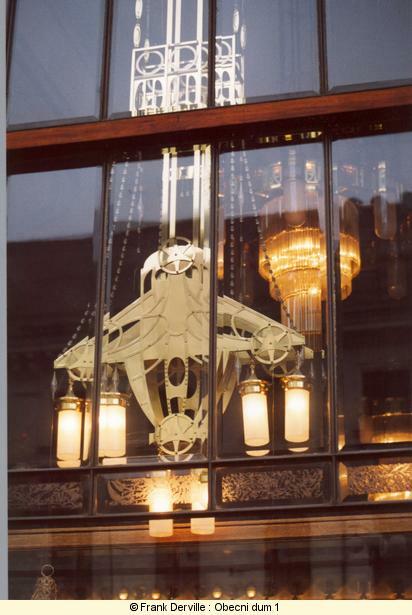 You will admire the Jugendstil hanging lights (example on photo §1). 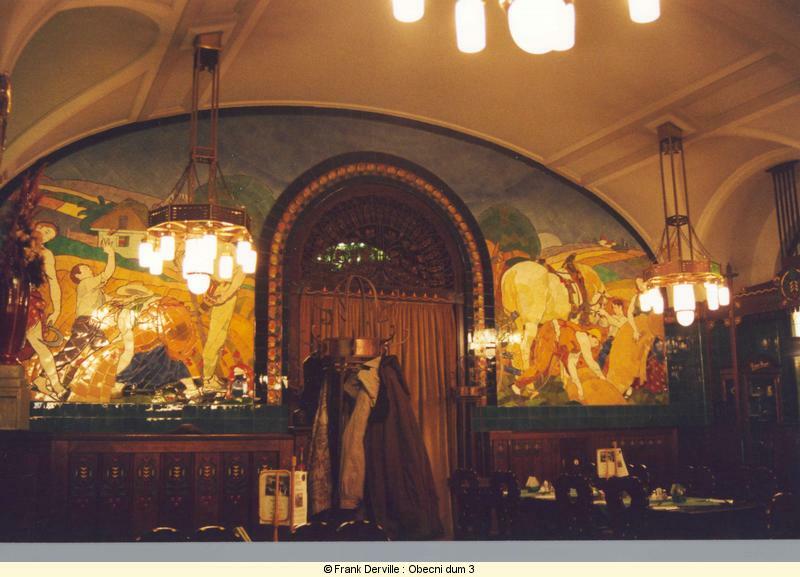 It hosts also three restaurants in the building: French Restaurant, Mozart Restaurant and Café Nouveau (photo §3) and a large concert hall. Except for the restaurants, it is not possible to visit the building except for some guided tour, which are not regularly nor often programmed. The communal houses, people houses or even national houses are typical buildings from the AN era. It is part of a will to make the Arts available for all the inhabitants of the town and be a show room of national technical and artistic skills. 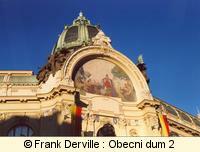 In Prague, it takes a particular taste regarding the will of independence of the czech against austrian. The independance arrived in 1918 at the end of World War 1 (the declaration of independance was made in the building). 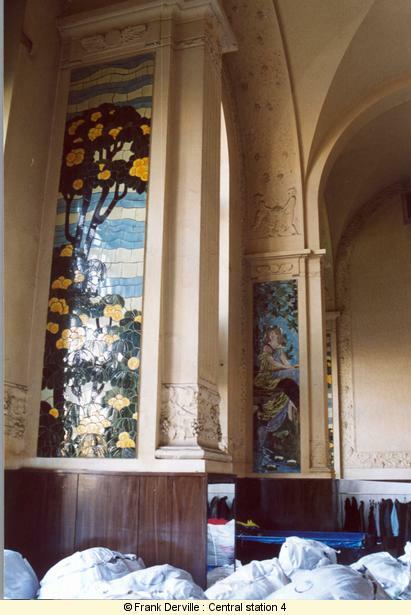 The building was restored to its original beauty during the years 1996-97. 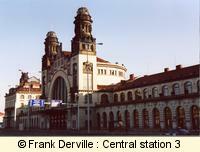 The main station of Prague is built over drive through plateforms. It has a symetrical shape and at its center a large and high semi circular hall with two towers (photo §3). Two office buildings mark the way outs of the railways. The original floor of the building is below the street level as a highway was constructed in 1970 together with a reconstruction of the central part and the construction of an underground hall. 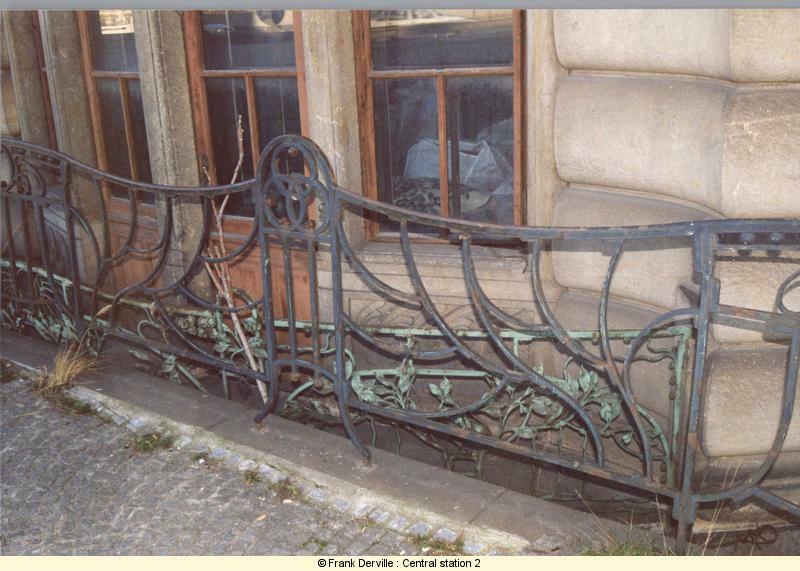 You can appreciate this in photo §2 with the old and new iron fences at two different levels (the original ones with floral patterns as a balcony which is now littls below street level and the new ones on the pavement to avoid people from falling to the ancient ground level, more geometrical but still with an Art Nouveau taste, but dating from 1970). Don't miss inside these superbs ceramics frescos (photo §4) in the northen wing in room that is used now as a storage but was a restaurant. Don't miss either the door of the northern office building with sculpures and stain glasses (photo §5). 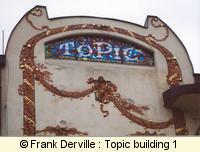 The building is today in a really bad state (photo §1) and its wonderful Art Nouveau features are not yet restored. 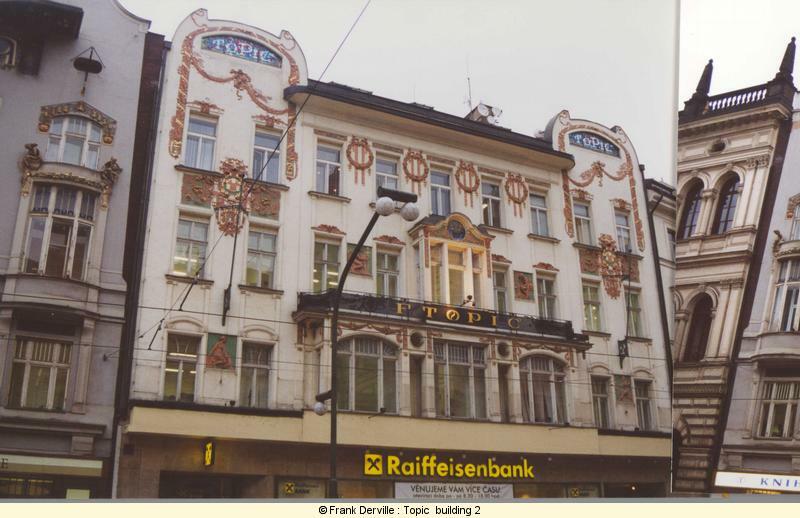 Topic is influanced by baroco and german jugendstil. 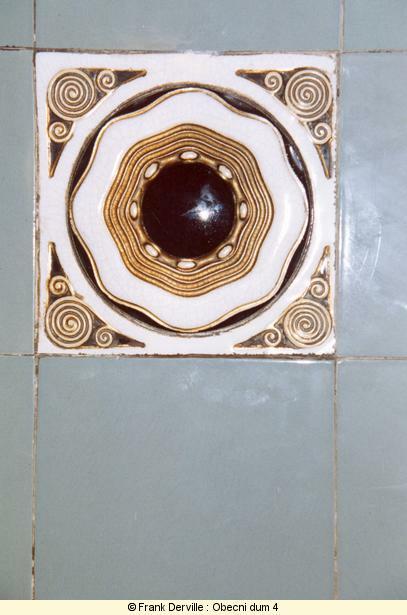 Look at the irisated ceramics displaying "Topic" (Photo §1). 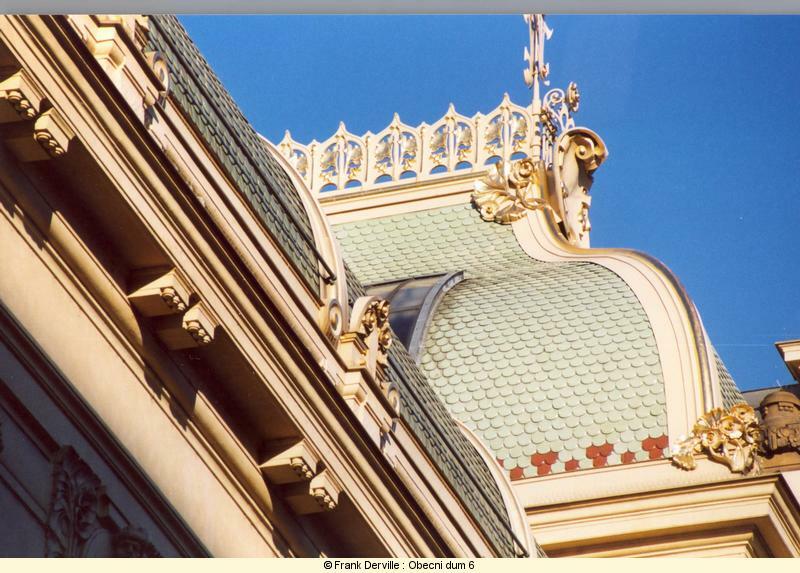 Praha Assurance building inspired by austrian secession. The bas reliefs of the first floor designed by Saloun are wonderful. 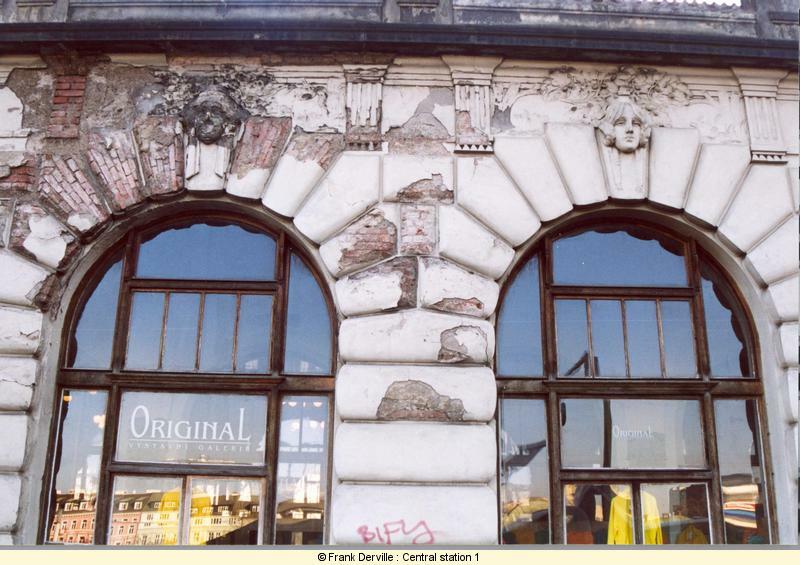 The name PRAHA is written under the corniche amidst frescos and small oval windows. 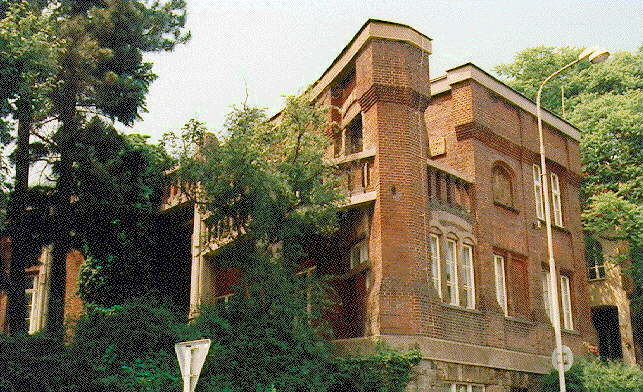 With its angle tower and floral sgraffito, this villa gathers AN and traditional features. Although it is the best example of Jugendstil villa near Prague, it is today very tumbledown. 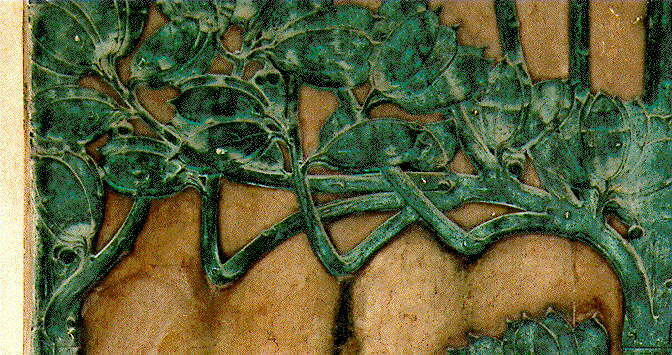 A sgraffito is a kind of drawing that is made in the wall cement while it is not yet dry.